We feature a variety of product lines that can be customized to meet your style and budget. GAF Timberline® Lifetime Architectural Roofing Shingles - North America’s #1 Selling Shingle. A new roof is more than just shingles. When you install any GAF Lifetime Shingle and at least 3 qualifying GAF accessories, you'll automatically get a Lifetime ltd. warranty on your shingles and all qualifying GAF accessories. Rollex aluminum soffit beautifully complements brick, stucco, fiber cement or vinyl siding with a beautiful, maintenance free finish. Available in a wide array of complementary colors to perfectly accentuate your home's exterior. Diamond Kote® Building Products leads the industry as the #1 brand of pre-finished LP® SmartSide®, backed by a 30-Year No Fade Warranty. Our engineered wood siding system was designed to hide nail heads, eliminate blemishes and provide a more efficient installation. 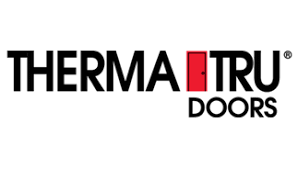 Exterior doors are available in an incredible variety of designs to match any home. From basic steel, and fiberglass to ornate, hand-carved wood doors, you can find one for any taste or budget. Discover inspired entryways from the brand professionals use most. We continually update our products to evolve with the styles that celebrate your individuality and creativity. Which style trend reflects you and your home the best – Casual Comfort, Bold Statements or Renewed Classics? Real beauty isn’t here today and gone tomorrow. It’s strong, stable and always enduring. You’ll discover these qualities in every JELD-WEN® Fiberglass and Steel exterior door. These doors are built to last. You can count on them to enhance your home for many years. Because at JELD-WEN, we always make beauty reliable.